I've recently come back to Simcity 4 after several years. This time I installed a copy through steam and all seems as it did before with my existing region, but today I went to alter some terrain in god mode and when I went to plop down the trees it used a different flora than what I had before. This is what I am getting now. I am using Cycledogg terrain mod and I have CPT_No7_TreeController_Generic_RequiresNo8andNo9.dat with supporting files in my C:\...Plugins\ folder. This has been like this since I went to cycledogg mod. Any idea why the God Mode trees aren't working now? Could you please clarify in what way it's not working, because it's not clear from the screenshot. 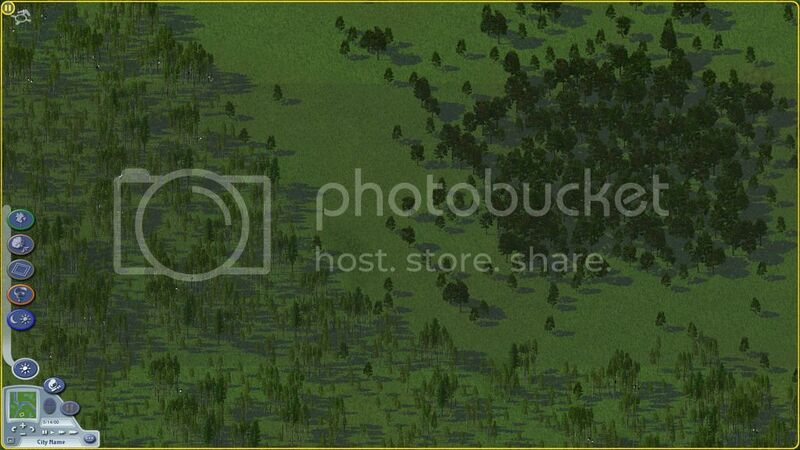 The tress shown are certainly not the Maxis originals, so there is a tree controller working. All of CPs tree controllers will not place trees everywhere, but this is an intended feature (see readme for details).